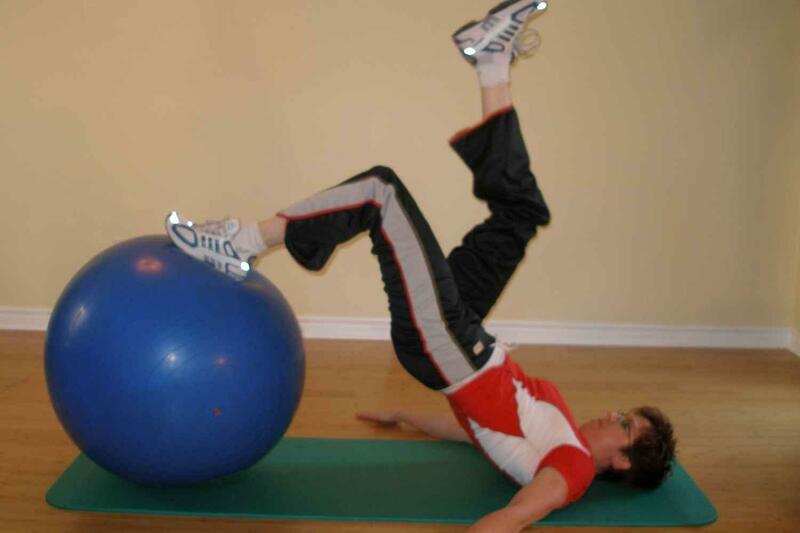 Exercise ball exercises for hockey should be incorporated into any good training regimen. Sport specific training is based on the theory of specificity. 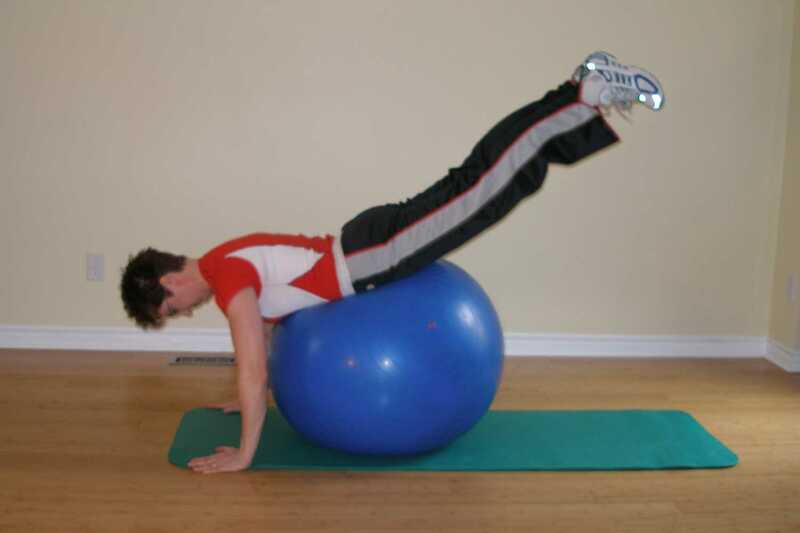 This principle states that maximum benefit of training is obtained when the exercise replicates the movements and energy systems used in a hockey game. Sport scientists, personal experience, and mounting research demonstrate that the training and its surrounding environment must be virtually identical to actual sport performance for meaningful transfer to take place. 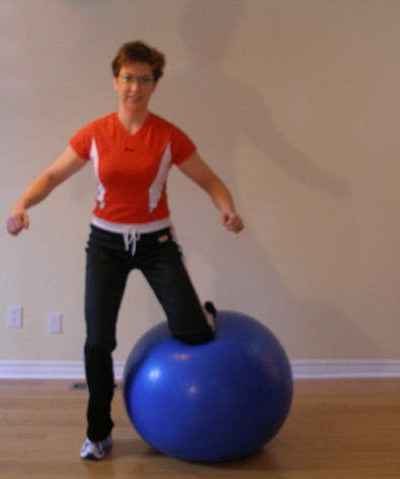 How Can Ball Exercises for Hockey Help? Designing the ultimate hockey specific training program is an all encompassing effort that requires a wide range of knowledge. No single component is more important than another. A hockey player's program can be compared to a chain, where each link represents a specific area of focus. Keep in mind that a chain is only as strong as its weakest link. Your core strength and endurance needs to be developed because it is the first area of your body that gets fatigued during a game. As soon as players hunch over resting their stick on their thighs, you know they're starting to fatigue. In an average player, this happens late in the second period. 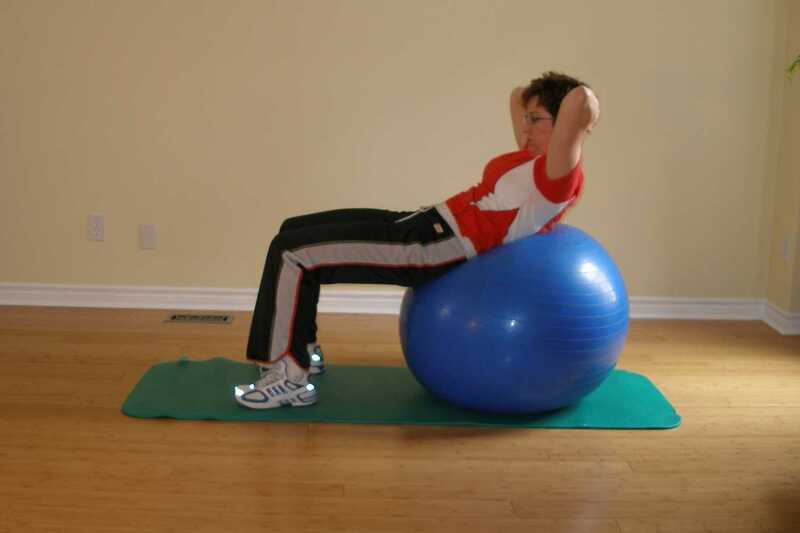 One quick and easy way to improve your stamina is to strengthen your core through exercise ball exercises for hockey. Hockey Goalies And Skaters Need Different Types Of Off Ice Training. Hockey Strength And Conditioning Coach Maria Mountain, MSc Has Created Two Specific Off Ice Training Programs - One For Goalies And One for skaters. This is the pro-style goalie specific off-ice training program that is for goalies who are committed to moving up to the next level and just need a step-by-step blueprint to get them there. 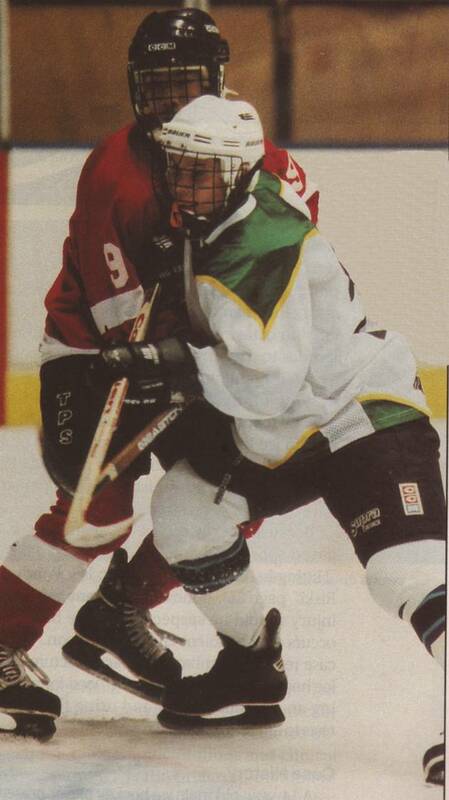 Improve multi-directional speed and acceleration to beat your opponent to the puck. Improve total body strength to stand strong in the corner and push your opponent off the puck. Enhance rotational and core power for faster, more powerful shots and better balance. Enhance total body power to deliver and absorb checks throughout the game.